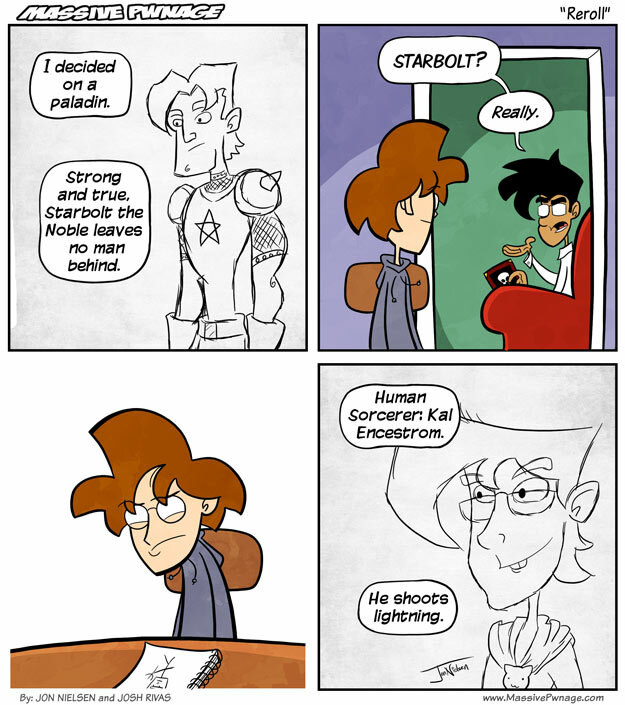 Starbolt was the name of my first alt in WoW, a paladin, incidently. It’s also the name of a champion. Kal Encestrom makes his official debut here. Being the first D&D character I’ve ever made, he’s pretty important. I still haven’t quite nailed down his personality, but the more we play, the more I get to know him. Roleplaying is a strange, new experience. Also, Locke and I have recorded ourselves discussing our new book, The Book of Pwnage! 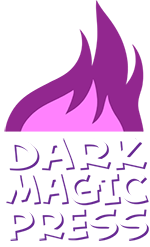 Also also, is there any public interest in trying to revive the Massive Pwnage Forum? It’s been dead for so long that I’ve pretty much forgotten about it, but it’s always been my goal to have it thrive. This entry was posted on Monday, July 12th, 2010 at 12:00 am and is filed under Comics. You can follow any responses to this entry through the RSS 2.0 feed. Both comments and pings are currently closed. 1.) that recording was awesome. 2.) I didnt even know a forum existed. 3.) How do i make a thread on the forums? “Kal Encestrom prepares to battle his antagonist, alternate reality fiend ‘Col Incestram’. (You don’t wanna know what he shoots).” Ehhh, maybe not? 😀 I’ll check out that recording sometime soon! As for the forums, you need a hook to get people to use them. DLC doesn’t have a comment function, so people need to go to the forums to talk about that weeks’ comic. Not the best business model to promote forum use, but that’s all I’ve got, lol. Yeah, I’d actually rather have people leave comments here than in the forums, which is kind of why I never put a lot of work into it.